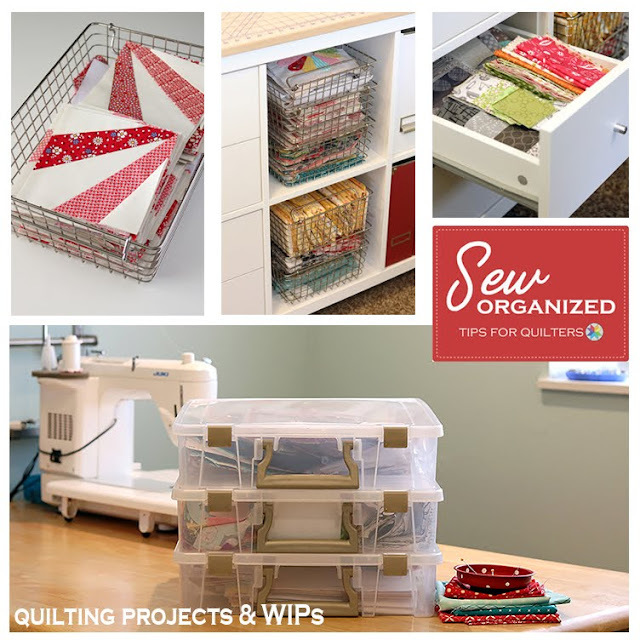 This is our last week of the Sew Organized series, and for this final installment I'm sharing ideas for organizing and storing projects - all of those UFOs and WIPs (Unfinished Objects and Works In Progress). The hope is that if we can keep them organized, then we'll be more likely to finish them, right? 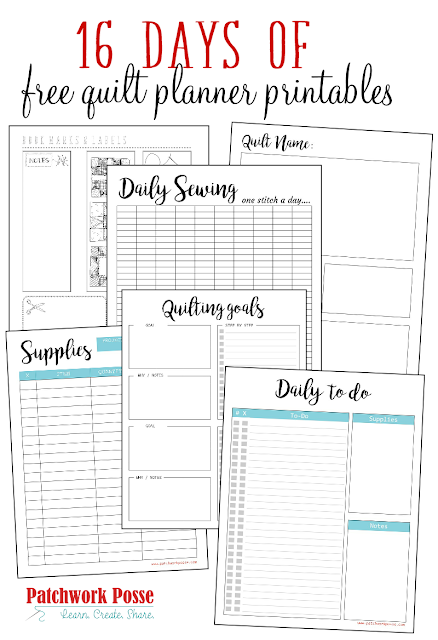 But if you're not wanting a full calendar & planner system for your projects there are also several printables available that help you list and track your projects. 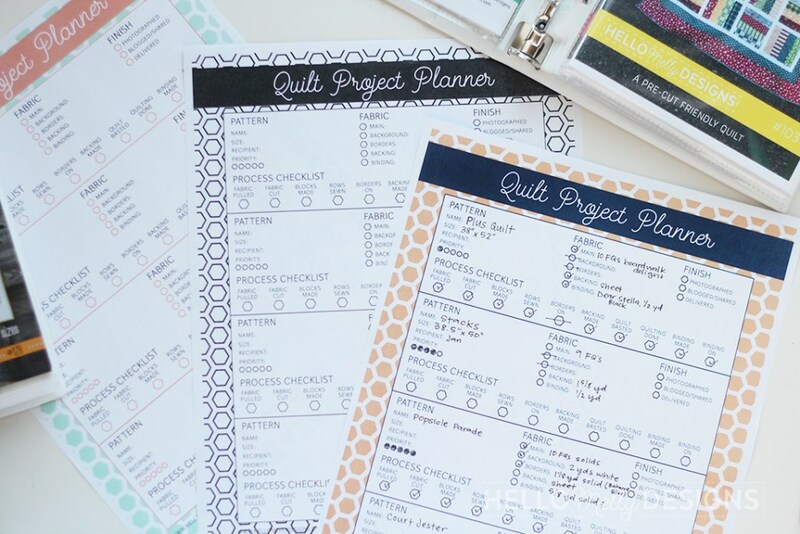 and I also like these Quilt Project Planner free downloads from Hello Melly Designs. 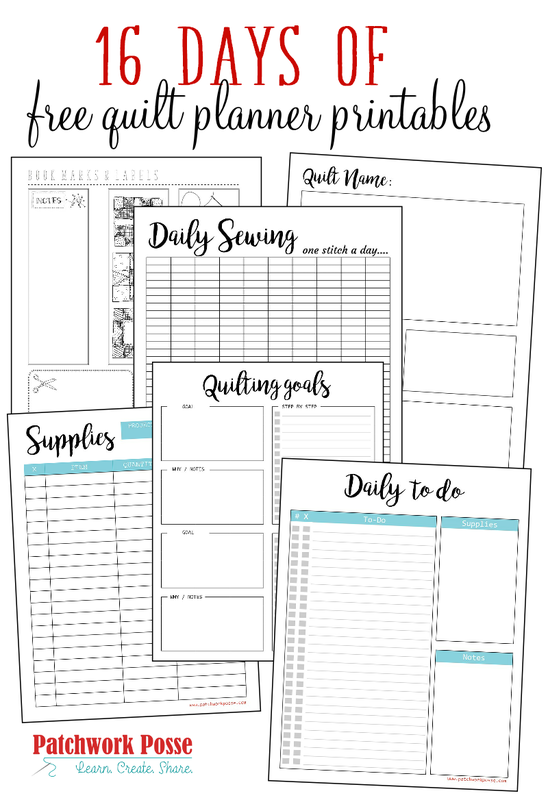 Patchwork Posse also has a set of planner pages - including pages for a daily to-do list, quilting goals, and even a blank tracker that you can customize to fit your needs. 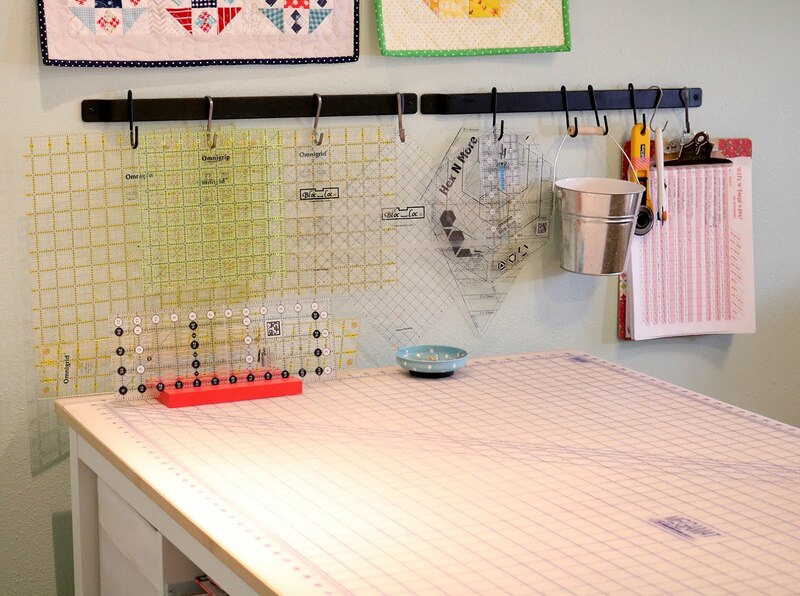 I've been using the Quilting Organizer Pack from Maker Valley and I keep it on a clipboard that hangs on the bar with my rulers. You can see it on the right in the photo below. It's handy to grab and so it's more likely that I'll keep it updated and refer to it often. It's great because it helps me keep track of what stage each of my WIPs is in. I can see which projects need sashing or borders - and which ones are waiting for backing to be pieced, or binding added. And when I finish something, it's SO satisfying to be able to cross off a completed project! Alright. Now that we're keeping track of the projects, we need places to store all of them! 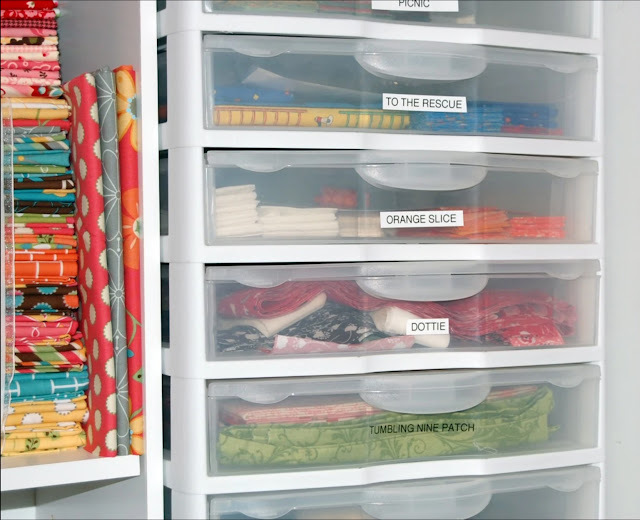 When considering how to store projects, keep a few things in mind. 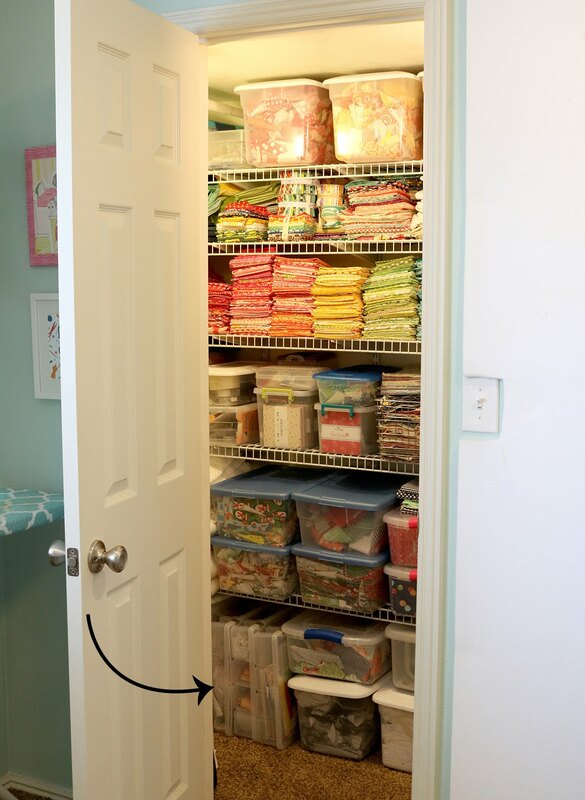 First of all, if the project will be taking you months to complete, find a more permanent solution for storage. 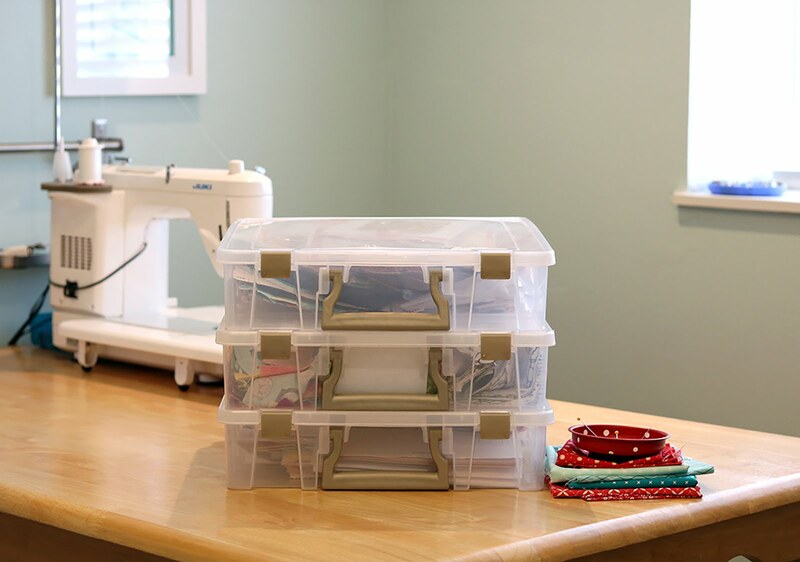 If you'll be moving the project to go to a retreat, or just from room to room (such as a hand piecing or EPP project) then find a portable storage solution. 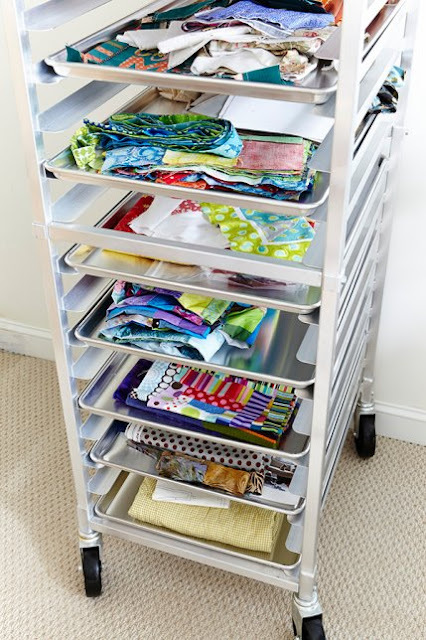 One of my favorite storage tools are these ArtBin Super Satchels. 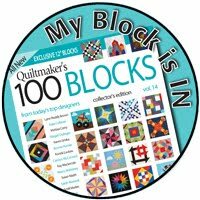 They're about 14" x 14" - perfect size for storing 12.5" quilt blocks. They have sturdy latches that stay closed even when the bin is stuffed full, and there's a handle which is so nice! They stack beautifully, but they can also stand on end. I keep these three on the bottom row of my closet - out of the way, but easy to grab when I need to. You can find them here on Amazon. I've also heard that they're at Walmart but I haven't checked myself to be sure. 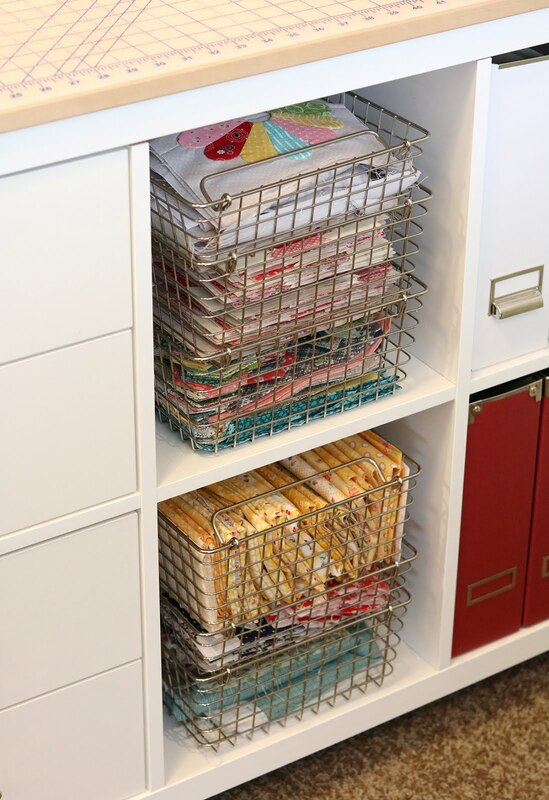 I also love using these stackable wire baskets from the Container Store. And I do mean love. Really love. If I had space, I'd get more of them. They come in multiple sizes, have handles for carrying, and I can easily see what's inside. When stacking, the handles flip to the inside so the weight of the next basket rests on the handles and not on the contents of the basket. 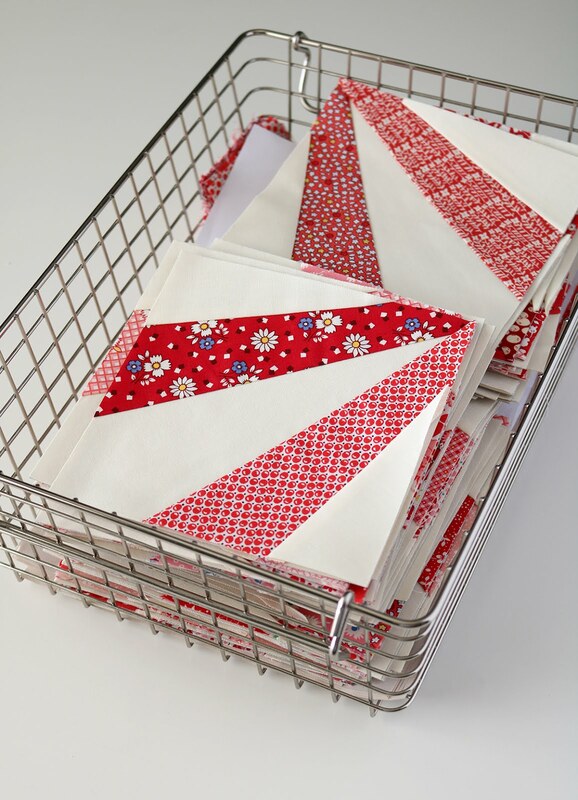 The baskets stack perfectly on these shelves in my cutting table, but in the past I've also just kept a few stacked next to my sewing machine for easy access. I mostly use these baskets for projects that will last over a long time - like the Patchwork Quilt Along from last year. 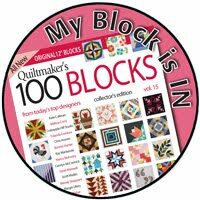 I could keep adding my blocks to the basket each month but not have to handle them much. 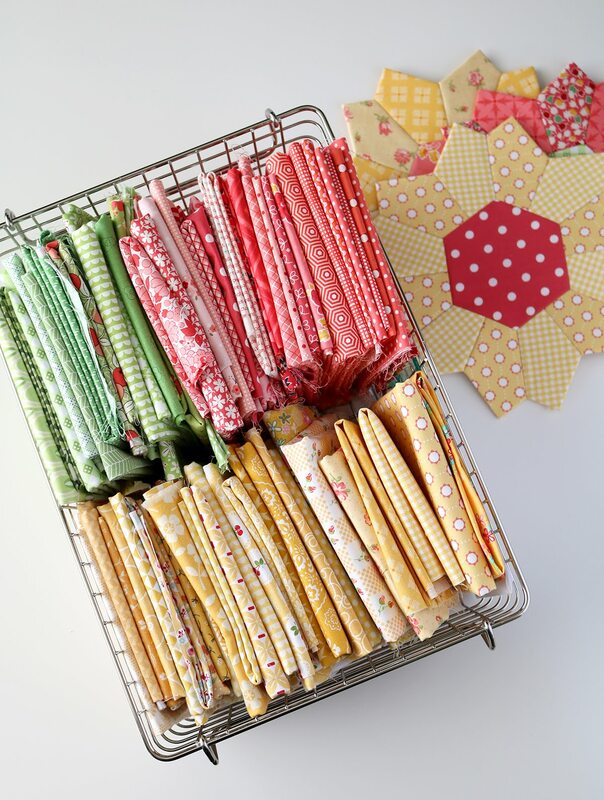 In a taller version of the same baskets I'm keeping all of the fat quarters I need for this english paper pieced project that I've been working on. I can take the basket with me to the tv and pull from it as I work and watch movies, and then tote it back to my sewing room for storage when I don't need it. I also have a few drawers available and I keep projects in there as well. I try not to though, because --interestingly enough -- the ones that go in the drawers don't get worked on as much! You know, the whole out of sight out of mind thing. Here are some other ideas that I think are pretty clever! 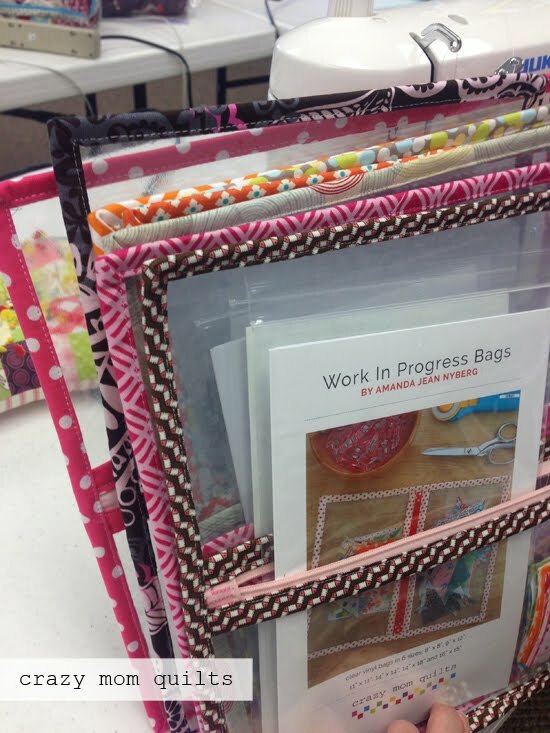 These vinyl project bags designed by Amanda Jean Nyberg (Crazy Mom Quilts) can be made in pretty much any size you'd need! They have a zipper closure and would keep project supplies and quilt blocks dust free and organized. A friend of mine made some of these with handles on the top and she hangs them in her closet - freeing up much needed shelf space. 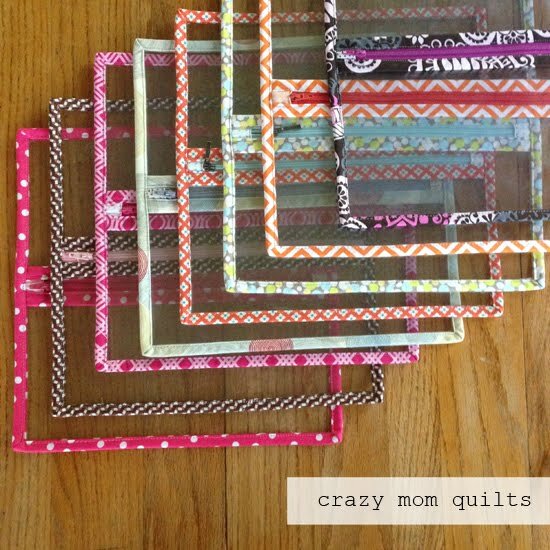 You can find the pattern for these here in Amanda's Craftsy shop. 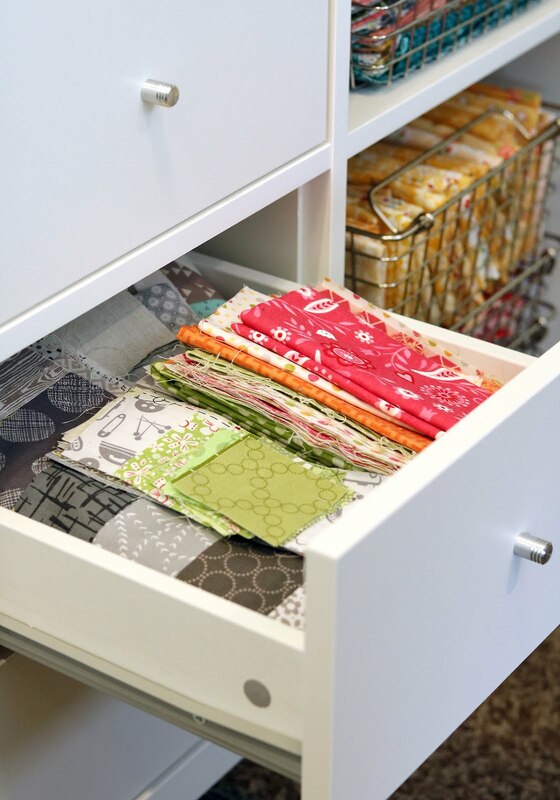 I also like this wire drawer storage idea from All People Quilt -- easy to see what's inside but still keeps everything organized and tidy looking when the drawers are closed. You can find similar ones here on Amazon. 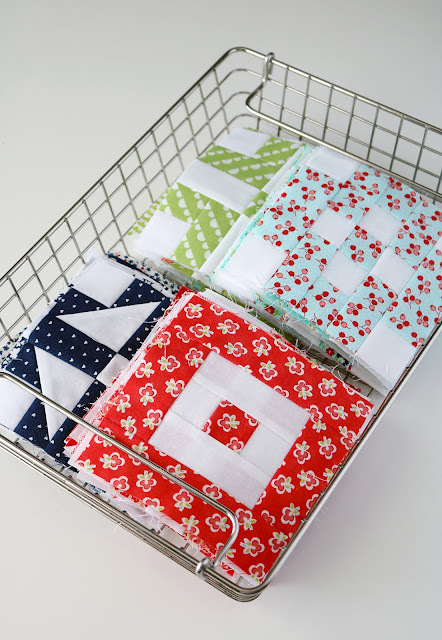 This idea (also from All People Quilt) is clever: A baker's rack with each sheet tray being used for a WIP. You can easily slide out the tray and carry it to wherever you need to work and then return it to the rack for storage. And there's wheels on the cart too! 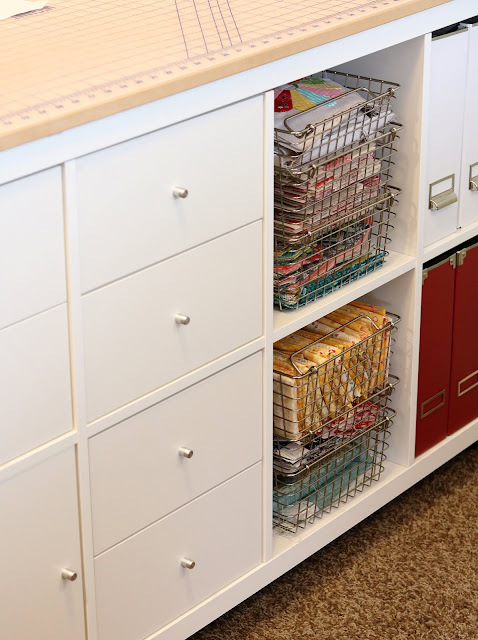 How about these plastic drawers? I found these on Pinterest and the photo doesn't connect to a website or blog, but these Sterilite drawer organizers from Amazon look similar and they're wide and deep enough to hold 12.5" quilt blocks! How to do you track and store your WIPs? Have any great tips to share? I'd love to hear them! Need even more WIP storage ideas? Check out my Sewing Room Organization pinterest board and be sure to follow me because I'll keep adding great ideas to the board as I find them! 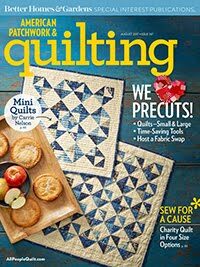 Happy quilting (and organizing) everyone! Can you give us the secrets of your cutting table. How many book cases and etc. Where did you get the top? How high is it? 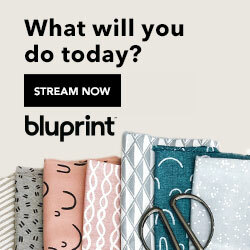 Love your sewing room and taste in fabric. Would love to copy, but your sewing room looks bigger than my house! Moving this year, so fingers crossed! Keep up the good work. I have really enjoyed your series on organizing your sewing room. 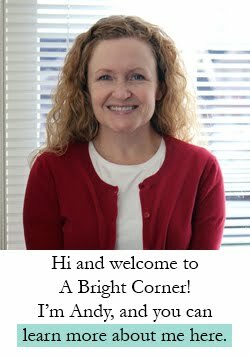 Thank you for sharing so many ideas and tips. I sure enjoyed this series. I have a major organization problem in my own sewing room. I’ve tried many different things, but still have a problem. Thank you for the many good reviews of products that work for you. 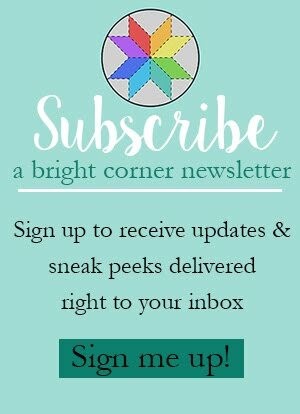 I found you via Pinterest and have read your whole organization series of posts as well as the instructions for your fabulous cutting table. 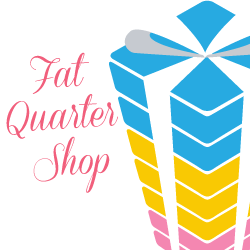 We’re moving into a new house this summer where my sewing room will take the place of the master bedroom! I will definitely be incorporating some of your ideas. Thank you very much for sharing your great ideas. 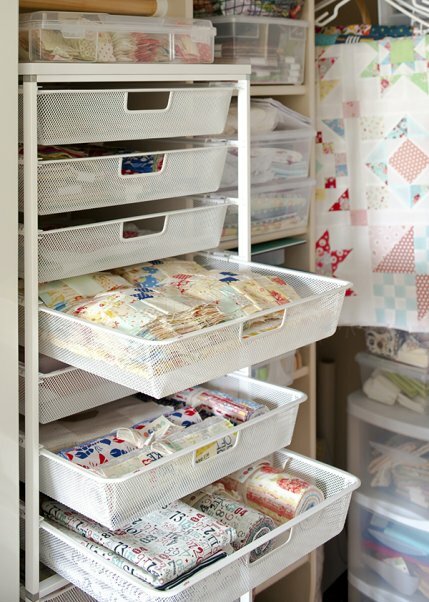 Great series of some great ideas for storage. My space is too small for some of your tips but i will incorporate many. Thank you for this series.